Do yall feel like I'm sort of on the ball with this? I mean, it's still 2012 for crying out loud. Truth be told, I made this calendar almost as soon as I found out we were expecting again, so I could notate how the weeks laid out until D-Day. (Weird or normal?) So yeah, it's been in existence since mid/late July (ha), but here you go. I stayed true to my original formula with a mere font update (see 2011 and 2012 here, if you'd like). Update 2/8/13: I've changed hosting sites for the PDF--hopefully this site will work better. As always, email me if you'd like me to directly send you the PDF. If you have any trouble downloading it, email me directly (email address is on right-hand sidebar), and I will send you the PDF. Happy November and happy almost-2013 (it's coming)! Though I love Thanksgiving and have even waxed poetic in the past against pre-Thanksgiving Christmas hoopla, I must confess that this year, I am loving the Christmas paraphernalia that has already made its way into the marketplace. We pretty much missed Christmas last year with Jules' illness, so I am eager to enjoy it this year with my little family and best gal. Oh yay! I love putting these up in my office! Sweet! Thanks! I'm using these! definitely going to use this and VERY glad that your family gets a different kind of Christmas this year! Great calendar. Side note - your baby is cute. 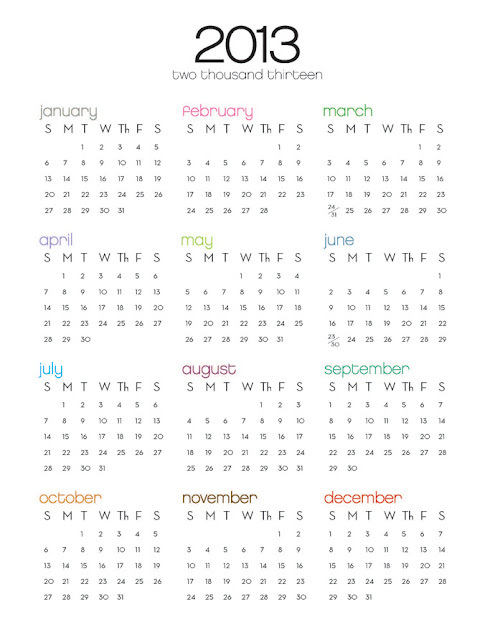 I love this calendar, but I'm unable to download it via Scribd :( would you mind emailing it to me? i like this calendar. 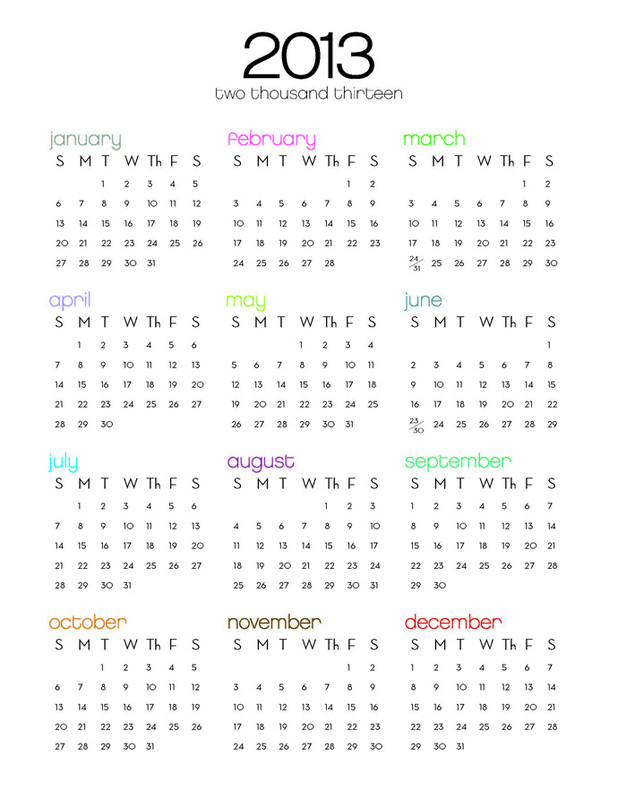 do you have a 2014 done yet? jumping the gun i know but trying to get 13-14 school year in my family book. if so could you send to jennroberts73@gmail.com? thanks! Loved using this calendar last year. Would you consider re-making it for 2014?